What has six legs, black stripes and kills people? A homicidal magician and the biggest tiger in his world-famous act. Murder will be hard to prove, though, because the dead guy never existed, all the evidence seems to have been eaten, and the victim’s corpse isn’t the only thing that has magically disappeared. When Maureen O’Brien suddenly vanishes, P.I. 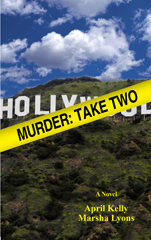 Blake Ervansky learns about her shocking former life, a past he doesn’t think he can live with. Then, before he can tell her their partnership is over, a call from a client in hysterics reveals that a recently-solved case has come messily unsolved. Putting aside their own differences, Maureen and Blake circumvent a corrupt sheriff and draw closer to the truth, until Blake finds himself in a deadly game of cat-and-mouse in which he’s the mouse, and the cat outweighs him by 400 pounds. It’s a cage match he won’t survive unless the skills Maureen acquired in her dark past can neutralize the killer before Blake becomes cat chow.